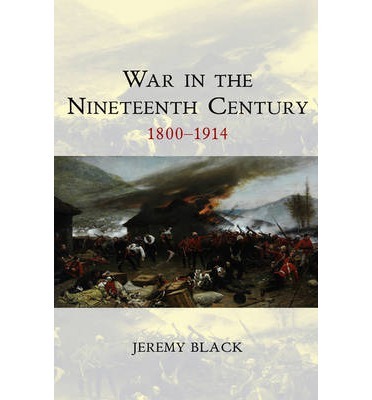 This book provides an accessible and up-to-date account of the rich military history of the nineteenth century. It takes a fresh approach, making novel links with conflict and coercion, and moving away from teleological emphases. Naval developments and warfare are included, as are social and cultural dimensions of military activity. Leading military historian Jeremy Black offers the reader a twenty-first century approach to this period, particularly through his focus on the dynamic drive provided by different forms of military goals, or "tasking". This allows echoes with modern warfare to come to the fore and provides a fuller understanding of a period sometimes considered solely as background to the total war of 1914-45. Alongside state-to-state warfare and the move toward "total war", Black's emphasis on different military goals gives due weight to trans-oceanic conflict at the expense of non-Europeans. Irregular, internal and asymmetric war are all considered, ranging from local insurgencies to imperial expeditions, and provide a deliberate shift from Western-centricity. At the very cutting edge of its field, this book is a must read for all students and scholars of military history and its related disciplines.